The first step in using your Energy, is to become aware of it, and the channels through which it flows. Also important, is to become aware of how the Energy of others, and your environment, can profoundly affect your well being. 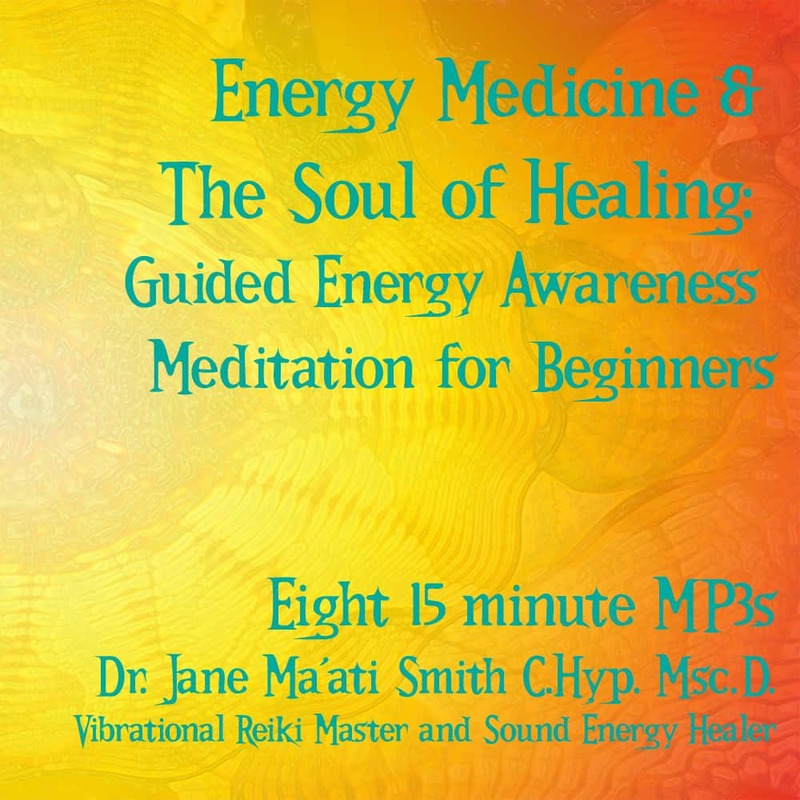 Vibrational Reiki Master Dr. Jane Ma’ati Smith takes you through the steps to a life changing series of meditations. These are designed to utilize your body’s natural streams of Chi energy, as well as the energies of the Earth and the Universe, providing a powerful physical, emotional and spiritual cleansing. These meditations are enhanced with isochronic tones, to relax you, and deepen your meditation experience. Mastering these meditation techniques will free your energy to heal, body mind and soul, and also provide you with a profound sense of independence spiritual and protection. These eight Energy meditations will put you on the path to using, and understanding, not only your Energy, but that of the Earth and the Universe. These guided meditations will also give you valuable techniques to protect your Energy from the negativity around you, and to cleanse your Aura. You will feel gently energized, relaxed and centered. For download only, not for streaming. Best for desktop. iPad, iPhone, use link below.